What, then, must our response be this Memorial Day, when our valiant frontline soldiers are honored for dying for the enhancement and ease of great corporations? Two-fold: to redouble our efforts to spread the humble truth we possess in the form of certain evidence, not just back and forth among ourselves and to blog subscribers and the relatively few still uncommitted to whatever extent, but to get it across, sent, delivered, shouted, handed, and spoken to everyone! Everyone that breathes! Until it is as pervasive, as ubiquitous in the environment shared by all of us as the official lies it exposes and counters. Or, even more so! That will take money. That will take time. That will take commitment from all of us. But, we MUST! One of those unexplained things – last week, chronologically in the wake of the president’s Osama bin Laden bombshell – was simply astounding for me. 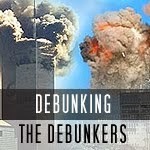 I had no more than posted my modest and moderate commentary thereupon on the 911 Truth Grassroots web site (www.911grassroots.org) – indecisive in its conclusions due to a near-total lack of evidence to judge by – when things started happening fast. First, I received an email out of the blue from a programme producer at BBC in London inviting me to participate in a live on-air “interview” (which turned out to be a panel discussion), topic not stated. Never even thinking that it could be a joke, I responded that I would, of course, be honored and delighted to participate. Then, within about an hour, I received a phone call from Johannesburg, requesting an interview (which did turn out to be a half-hour taped actual interview to be aired a few days hence in 154 countries) by Channel Islam International Radio. The BBC discussion turned out to be a bust. The panel consisted of two or three complete government mouthpieces, all British, and me, introduced as representing the 911 Truth Movement. The topic was what to make of The Incident. I said, when asked, that I had found it a confusing affair, especially in light of it being a killing without a body for any coroners or forensic experts to express findings concerning. (Forensic experts demurred later that to have extracted DNA even preliminarily analyzed would have required at a minimum two days.) I had no more than said this when one of the other participants abruptly identified me as a “conspiracy theorist” and stated that my ilk could never be persuaded by reasonable arguments. A bit taken aback, I tried to break into the succeeding staccato rapid fire of English-accented points and counterpoints a minute later to object that I probably could be persuaded by some bona fide forensic experts’ evidence-based judgments , but found that my microphone had been turned off. A moment later, a man’s voice came on, calling me “Jack” and thanking me for my participation, followed by a dial tone. Fox News would have been proud as punch! I emailed the cordial female programme producer later to complain. She responded that she thought I’d made some good points (it must have been in my pre-airtime questionnaire), and said she would keep my contact info on file for possible future commentary. I was apprehensive, but my interview on the same topic the next day with Channel Islam International went like a dream. The host was actually more convinced that I that the Osama Killing Operation was really a ruse, its nature betrayed by the haste with which the “sea burial” – totally unmindful of Muslim practice – was ostensibly carried out. 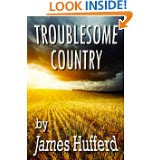 He followed by asking how I thought the incident fit into the larger context of dramatic happenings in the current Middle East, and I laid out precisely what I’d stated in my web site article. I even got to make a strong plug for rallies, signs, and chants boldly declaring that “Muslims Didn’t Do It!”, encouraging my Muslim listeners to so proclaim to the world, loud and proud – and learn to back it up with a recitation of the evidentiary facts. Then, a couple of days later, I received an email requesting an interview from a leading female print journalist in Brazil, who had interviewed Obama at the White House in ’09. She gave me a list of questions in advance, and was interested in a summary interpretation, from a 911 Truth point of view, of the events of September 11, ’01. I was careful not to interject my own personal views as representing all of 911 Truth. My recent comments and experiences have since become the subject of a leading columnist’s blog on the Des Moines Register web site, drawing an unexpected level of reader support, and my letter to the editor of the same paper finally made it into print yesterday, reminding that “justice” could hardly be served, as ubiquitously declared, when the man wantonly shot had neither been convicted nor charged with perpetrating the crimes of 9/11, due to a total lack of evidence of any such thing. That letter, sorry to say, has drawn little by catcalls and a flurry of unflattering names in its accompanying online blog. Additionally, closer to home, with our local monthly meeting coming up Wednesday night, my phone has been ringing off the hook with enthusiastic calls from our attendees -- far from the usual uninspiring silence. My take on all of this sudden, unbelievable surge? I’m inclined to believe that, even subliminally, there’s been a sudden new awakening of interest , curiosity, and, of necessity, doubt regarding the limited amount the U.S. and world public believes it knows about the background topic of 9/11. And, fleeting though it may prove to be, that’s our best environment in which to operate as an educational endeavor. So, let’s all make hay while we can! By the way – please check out the announcement of the upcoming and promising Toronto 9/11 Hearings, and the testimonial letter of one of the brand-new 911 Grassroots Organizers on our growing list, Daniel Cardenas, immediately below this article on our web site, www.911grassroots.org. And don’t forget to write! I was in Monterrey Mexico at the time the event of 9/11 took place. It was a coincidence that I just so happen to call my wife almost at the same time she was turning the TV on to watch the morning news and while she was talking with me she was trying to digest the surprising news about the first airplane hit. As she was traying to narrate to me what she was learning I said " Its got to be a trailer for a movie or somebody is rehearsing a video for some commercial" Because the confusion we agreed to hang up the phone and I was going to tune the Mexican TV news. for about 10-15 minutes the Mexican TV did not say anything about it and all of a sudden they interrupted the current news to show the Airplane video. I was in total disbelieve because I had been a private pilot licensed in Edmonton Alberta in 1978 and had approximately 450 hrs since then until Nov. 1992 my last flight from GA to Alabama. I know how protected is the Air Space!!! As I accepted the fact as a tragedy in less than 24 hours I called one of my brothers and I asked him what was his impression as we hit the conversation I told him that it was impossible for any foreigner regardless of flying expertise as private pilots and a lot less possible to do it with an airliner as a hijacked airplane??? Since then I have been actively talking with less and less people because at first 90% of my acquaintances thought I had lost it then some of them began to say that they also have thought the same then some good family friends turned their backs on us claiming that I was an "anti-American" Then I lost almost all the people I thought were my friends. I didn't care I know what I felt and what I saw and could not believe the cynical way to hide everything. That just confirmed to me that It had to be a conspiracy. I am not an engineer but I have done some courses in Industrial Engineering to understand medical equipment in order to properly position those in a market so I can be very investigative and can separate facts from fiction reasonably fast. I don't have any material to help me back up what we know. However, if you can help me obtain some of it I will be happy to study it and further comment it with you as I receive them. If you need me to pay for the shipping I will be glad to do so. September 11, 2011 will be the 10th anniversary of the events in New York and Washington that have played a dramatic role in modern history. These events have provided a pretext for a War on Terror that has replaced the Cold War as a global conflict framework within which military invasions and occupations have taken place, as well as violations of international law and human rights and a widespread assault on the civil rights crucial to democracies. Global military spending, which began a rapid downswing after the end of the Cold War, has, with the help of the official account of the 9/11 attacks, risen to Cold War levels and continues to rise. The focus on military solutions to complex human problems has sidetracked humanity at the very moment when international cooperation is most required to address climate change, energy scarcity and other genuine challenges that humanity faces. 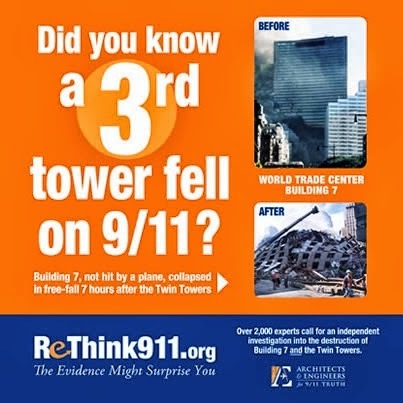 In the meantime, skepticism about the official reports on the 9/11 attacks (by the 9/11 Commission, the Federal Emergency Management Agency, the National Institute of Standards and Technology, the Federal Bureau of Investigation and other government or government-appointed agencies) has risen to high levels in many countries. This skepticism, contrary to what is regularly asserted in mainstream media, has a factual basis and is not merely the result of delusional or conspiratorial thinking. The International Center for 9/11 Studies has decided to sponsor four days of Citizen Hearings in the city of Toronto, Canada on the 10th anniversary of the events of September 11, 2001. These Hearings will not be a mock trial or symbolic tribunal. They will involve the serious, careful and informed consideration of the best evidence that has been discovered in the ten years since the 9/11 events occurred. (4) To engage the attention of the public and media through witness testimony as well as through public talks and media events during the four day event. The Hearings are international, and the location outside the U.S. is intended to give that message. At the same time, there are good reasons to choose a location reasonably close to the attacks of September 11, 2001 so that people directly associated with the events, such as victims’ families, can travel to the Hearings. Toronto is a 9-hour drive from New York City. Toronto’s Ryerson University has been chosen as the site of the actual hearings. The key participants in the Hearings will be moderators, witnesses, and a citizens’ panel. Moderators will guide the witnesses and panel through the presentation and discussion of evidence. Witnesses (chiefly expert witnesses, but possibly eyewitnesses as well) will speak of their research findings or experiences and, where appropriate, will formally submit evidence to the panel. A four-member international panel of highly credible citizens will listen to the witnesses, examine their evidence, raise questions and engage in discussion, and submit a report after the conclusion of the Hearings. Each day of the Hearings will have one or more themes. For example, day 3 of the Hearings (Sept 10, 2011) will focus on the destruction of the World Trade Center. The following individuals have agreed to participate as expert witnesses on this day: Niels Harrit, David Chandler, Richard Gage, Steven Jones and Jon Cole. The Hearings will be moderated by Richard Lee, Michael Keefer and Matthew Witt and the final report will be edited by James Gourley. Themes on days 1, 2, and 4 will include: al-Qaeda, air defense failures, insider trading, anomalies of Flights 77 and 93, the nature of false flag terrorism, and psychological resistance to accounts that challenge the official one. Peter Dale Scott, David Ray Griffin, Laurie Manwell, Graeme MacQueen, Lance DeHaven-Smith, and Kevin Ryan are confirmed witnesses, and there is a list of other witnesses who will soon be asked to participate. There will also be addresses, during the day and in the evenings, by eyewitnesses and by members of 9/11 victims families. The lead sponsor of these Hearings is the International Center for 9/11 Studies. Established by U.S. attorney James Gourley, the Center is currently known best for its success in gaining the release of approximately four terabytes of video evidence held (and kept from the public) by the National Institute of Standards and Technology. There will be a Steering Committee, an Advisory Committee and several Working Groups. The Steering Committee currently consists of Kevin Ryan, Laurie Manwell, Graeme MacQueen and Adnan Zuberi. The Advisory Committee will be an international group consisting of about a dozen experts, 9/11 family members, and people of influence. Approximately half of those advisors have been identified and the remainder invited in the coming months. Working Groups will deal with video-conferencing and recording, publicity, media relations, fundraising, and so on. The Toronto Hearings Steering Committee would like to make an appeal to all citizens around the world who are sincerely committed to discovering the truth about the attacks of September 11. Let’s make 2011 the year of evidence-based research. If you cannot spare the time to do your own research, or do not have the skills, please consider supporting a Toronto Hearings participant by contributing an amount toward paying for that participant’s travel and accommodation. Certainly one of the most tragic and profound features of the wholesale assumption of control of the overall world scene over the past number of years by a shadow government has been the replacement of news and a general awareness of what was happening with a choreographed Hollywood-style faux-news narrative of events – some involving outright invention and apparent down-the-line scripting – suiting purposes dictated by a vanisingly small handful of controllers. Thus, this week’s mega-event – the announced fire-fight head-shot to Osama bin Laden – has to be, at the very least, widely questioned. If it did really happen as announced, then, as duly noted, that would be incredible on several counts. First, it is amazing that a man with advanced kidney disease putting him in and out of hospitals for dialysis already ten years ago , would have survived actively for a decade in the remote mountains of the Af-Pak border, a living remnant of life a thousand years ago. That region, we were repeatedly reminded by way of excuse, was, after all, so remote that twenty-first century logistics and transport could scarcely even manage to get anyone there to attempt a hit. It was dangerous to put soldiers into harm’s way, we were told. (But, eventually, we will get him). Second, what of the stories we have heard of his hideout being surrounded and he and his entourage being permitted to walk out? What of all the apparently-faked videotaped messages, with rings on his finger, a different nose each time, different-handedness, and a steadily-darkening beard? Could David Ray Griffin been fooled into thinking that wasn’t really bin Laden? (Of course, it could have been a stand-in the whole time, while the real one stayed hidden, playing chess and plotting chaos). Was Osama at the end still a CIA operative, who was quietly turned on and gotten rid of? It wouldn’t be the first time. Company loyalty is legend. And what are we to make of the big apparent shifts in the larger regional context of this event in recent months? What of the U.S.-backed revolutions against traditional U.S. allies in Tunisia, Egypt, and elsewhere? Why did the U.S. overtly intervene only in Libya, hardly one of the Arab world’s main addresses? My hunch is that U.S. security forces lit the match, at least in Egypt (naturally enough, mimicking Tunisia). After thus re-deploying, they (U.S. overlords) couldn’t risk the powerful adverse propaganda that could come from the old guard (Qaddafi, in that case) holding on against a weak rebel force and snapping the chain of dramatic “democratic” triumphs dramatically sweeping the landscape. The new way to “democracy” and new-style puppet regimes, replacing the dominant brand’s by-now old-hat (failed) imposition by the U.S. armed forces, guns blazing, was to be from the troublesome “Arab street” upward, coopting the masses. The latter would have no more presence in actual governing, but perhaps could be fooled into contentment, thinking they did. Sound familiar? And U.S. policy-makers, in their wisdom, just last week reshuffled the leadership team to fit the shift. And they wisely timed yesterday’s fire-fight so as not to step all over their great Imperial ally, Britain’s, mega Imperial event on the weekend. Perfect choreographing! Perfect! The people are cheering! And so, out with the old! 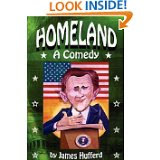 The decade of vigilante, lawless blood revenge on Osama, al Qaeda (and all bad and suspect anti-Israeli oppression Muslims) was beginning to cloy, the results having been horrendous for American prestige and treasure. High time to liquidate any old skeletons still rattling someplace far in the background (according to the still ongoing official 9/11 narrative) and cash it or them in for whatever propaganda value might still be in the offing, and gently hint for everyone to close the coffin. None of which has anything whatsoever to say about nanothermite, the un-repealed laws of physics, or de facto stand-down orders. So, are those the outlines of the real story? I don’t know.